« Farage’s Latest Resignation Seems Very Iffy! I am privy to a considerable amount of factual information regarding the trial, which I shall NOT be including until it has been brought to public attention in the Court. That said I will be commenting, with due consideration of the law, and to assist I have drawn heavily on the reporting of the trial by The Express & Star (CLICK HERE) as of all the reports I have read they seem to have provided the most accurate and competent coverage available in the public domain. As is my style throughout this web site I have included all ‘quoted’ material in blue to differentiate between facts I have provided and my views and the comments of others. This case pertaining to alleged crimes commited 7 years ago in 2009 and amounting to only £2,465 at most and an investigation and arrest not made until 2012, this after Nikki Sinclaire had spoken with the EU payments office, OLAF & British Police reporting that she was not happy about events in her constituency office, where the now proven duplicitous and dishonest liar John Ison worked, and she was eventually charged in 2014 without ever being questioned regarding the charges! WHATEVER THE Jury’s decision is this is a travesty and clearly illustrates the utter irresponsibility of the Police, when one considers the facts and the paultry amount involved, even if she was guilty which she strenuously denies and the trial is likely to have to relly on desperation to prove, has cost the British tax payers, in a period of austerity, somewhere between £1,000,000 & £1,500,000 – a huge amount of Police and Judiciary time that should have been better spent. Further: WHATEVER THE OUTCOME this is a classic example of ‘Justice delayed is Justice denied’, which has already sentenced Nikki Sinclaire to 4 years of punishment since her arrest, including the loss of her job and her carreer in politics, created huge stress for her, her elderly parents and wider family and friends since 2012, and precluded her from any meaningfull employment since she lost office as an MEP, as she was under threat of pending Court action. How can this not be classified as an abuse of Justice, WHATEVER THE OUTCOME? Former West Midlands MEP Nikki Sinclaire is set to appear in court accused of making false expenses claims and money laundering following a lengthy police investigation. Ms Sinclaire is due to appear at Birmingham Magistrates Court on 17 September to face allegations that she made false and dishonest submissions for travelling expenses and transferred the proceeds of fraud through a bank account in her name. The offences are alleged to have taken place between October 2009 and July 2010 when Ms Sinclaire was a serving Member of the European Parliament. The 45-year-old, of Velsheda Road, Shirley, was originally arrested on in February 2012 and has since been on police bail. Three other members of the public were also arrested but will face no further action. Throughout the investigation West Midlands Police has been working jointly with officers from the European Anti-Fraud Office (OLAF). Simon Orme, lawyer with the Crown Prosecution Service special crime division, said: “The CPS has authorised West Midlands Police to charge Ms Nicole Sinclaire, former MEP for the West Midlands, with the offences of money laundering and misconduct in public office. “It is alleged that between October 2009 and July 2010, whilst serving as an MEP, Ms Sinclaire used funds paid into her bank account by the European Parliament in respect of false travelling expenses claims. “Ms Sinclaire has also been charged with Misconduct in a Public Office with regard to her actions. “The decision to prosecute was taken in accordance with the Code for Crown Prosecutors. We have determined that there is a realistic prospect of conviction and that a prosecution is in the public interest. The ex-MEP lost her seat in the May elections for the European parliament. Ms Sinclaire has claimed that police have not questioned her during a two-and-a-half year probe into allegations of money laundering and misconduct in public office. The Crown Prosecution Service confirmed today that the former UKIP politician would be facing charges relating to the claiming of travel expenses while she was serving in the European parliament. She lost her seat during the elections in May. Sinclaire, pledged to fight the charges. She said: “‘I am disappointed that the police have chosen to charge me with the above offences without questioning me on them, after a two-and-a-half-year investigation. “The charges relate to my time as a UKIP MEP when I was under the guidance and oversight by the party in the Parliament. This will prove pivotal in resolving the matter. “‘During my time as an MEP I put in more than £120,000 of my salary into the cost of my work activities. 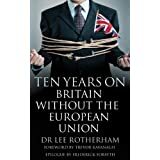 “‘It was also me, who in 2010, drew the attention of the West Midlands Police, to irregularities I discovered had taken place, without my knowledge, in my UKIP office. Sinclaire’s lawyers have claimed that the amount actually overpaid was about 3,000 euro (£2,465), but deny any wrong-doing on her part. a sum which has not been challenged by the prosecution and which it does seem Sinclaire and her lawyer have shown was in no way a willfull attempt by Sinclaire to defraud the EU. Further EU officials (or as described by The E&S: Mandarins) was not considered sufficiently significant for OLAF (The EU official investigators) to investigate as they did not believe the matter to be fraud – in the light of evidence presented in Court which the prosecution has accepted the amount they claim Sinclaire benefitted by is £2,465 which relative to over £90,000 of her own money which she personally paid in to doing her job as an MEP is rather put in perspective! It has been made clear in Court, and not contested by the prosecution or Ison, that Ison was employed by Sinclaire and that part of his job was to manage her receipts and expenses claims – Further it is known that in his contract of employment it is clearly stated that his employment is dependent on his undertaking to act in Nikki Sinclaire’s best interest and keep confidentiality – Wyhich part of acting as a spy and a mole in her office and plotting to destroy her does this little man of clearly no integrity and questionable honesty consider was her best interests or a confidential action as he fed information to others such as Nigel Farage, Mike Nattrass & Steve Morson, which he has admitted! I and many others can attest to the night of the election count, a night on which I spoke to Nigel Farage several times, when Nigel Farage openly stated that ‘… although he had 13 MEPs elected he wished it was only 12‘ and it was clear that he wished Sinclaire had not been elected. That Farage had fallen out with one of his MEPs was hardly news as in the previous parliament he lost the support of almost half of those that were elected! There seems to be clear evidence as led in Court that there is every possibility that the dishonest and corrupt John Ison was falsifying documents with the aim to oust Nikki Sinclaire and that Mike Nattrass and Nigel Farage were colluding with him so to do, though carefully ensuring their own deniability. Steve Morson having been more competently groomed by John Ison would seem to have been aware of these facts and thus involved but his only crime would seem to be as a witness of the facts, all be it a somewhat naive witness. A former Ukip MEP wrongly claimed thousands of euros in travel expenses for journeys to the European Parliament by car when she had actually flown more cheaply, a court has heard. 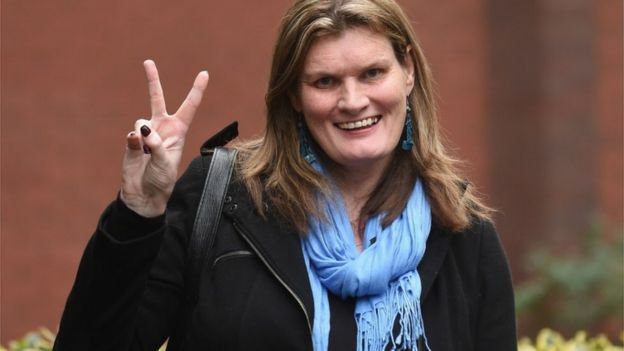 Nikki Sinclaire, who represented the West Midlands region in Brussels and Strasbourg until 2014, signed and submitted “significant” expenses “in excess of the flight costs”, according to the prosecution. The jury was told that in one case Sinclaire would have needed a car that could “travel back in time”, based on the receipts she is accused of submitting. Antonie Muller, prosecuting, said Sinclaire submitted 10 false claims through “dishonesty and deception” rather than in error. Mr Muller said that in another claim, from October 10 2009, Sinclaire claimed she had driven from Solihull to Stoke-on-Trent when she was in Cyprus. The prosecution produced a Hilton hotel receipt from Nicosia alleged to show Sinclaire buying a Kit-Kat, a drink, and later “some hairdressing” the same day. Documents seized by police allegedly show Sinclaire received a Greek parking ticket for 25 euros while on the island. He added that investigation of the UK’s automatic number plate recognition cameras found Sinclaire never made the trip to Staffordshire, as she claimed. Opening the prosecution’s case in what is scheduled to be a three-week trial at Birmingham Crown Court, Mr Muller said: “In short, this is a case about a member of the European Parliament, an elected official, making false and dishonest claims for travel expenses during her office. 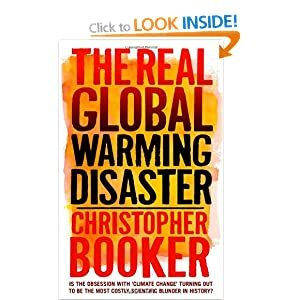 “Specifically, during the period in the latter part of 2009 to the summer of 2010. “The Crown rely on a series of claims for travel expenses made by Miss Sinclaire. 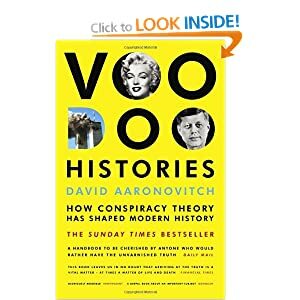 “We contend – and I believe it is not really disputed – these claims are probably false and do not reflect the travel expenses that were actually incurred. “Neither do they they represent the forms of travel actually taken. 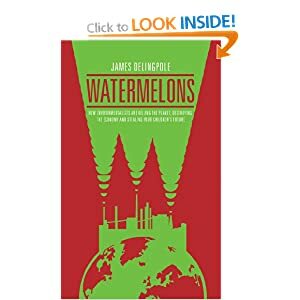 “We allege Miss Sinclaire made false claims broadly of two different varieties. “On some occasions she would claim for travel which she had not undertaken at all. He told the jurors it may “seem odd” that travelling by car could be more financially advantageous than going by plane, but not when including the Brussels parliament’s “travel time” allowances. The Crown’s barrister said six of the 10 claims saw Sinclaire claim for car and ferry travel when she had flown via Paris Charles de Gaulle Airport, Basel in Switzerland or Brussels. Mr Muller said EU expenses files showed she had submitted Brussels Airlines boarding passes – with a request for “extra leg room” – for a return flight on October 9 2009, when she was in Cyprus. On another occasion, she claimed a 1,271-mile round trip from her Solihull home to Strasbourg, by car, he said, but she allegedly flew from London Heathrow to Basel, returning on January 21 2010, where she booked herself into a Hilton Metropole hotel in London. 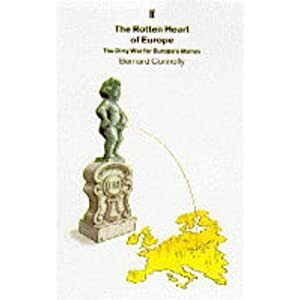 The Crown said Sinclaire submitted that claim – with a ferry booking made three hours before travel – supported by French toll road tickets and a petrol station receipt from 11.32am on January 18 2010. He added that similar allegedly false expense claims were submitted for October 19-23 2009, and then November 23-26. Mr Muller said Sinclaire then put in a claim “just shy of 400 euros” for a 484-mile round trip from Solihull to Chester-le-Street on January 8 2010. The court heard the MEP’s colleague had travelled to County Durham by train to collect a £6,000 Mercedes Vito for Sinclaire, while she was having lunch with an NFU official in Stratford-upon-Avon. 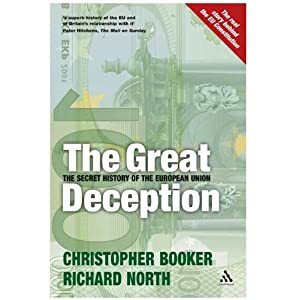 The 47-year-old, of Shirley, Solihull, West Midlands, is accused of misconduct in a public office between October 1 2009 and July 31 2010 while a serving member of the European Parliament by making or causing to be made false or dishonest claims for travel expenses. She is further charged of fraudulently transferring criminal property into her bank account between October 14 2009 and December 31 2010. At the start of the trial, Judge Stephen Eyre QC told the jury: “This is not a trial about politics, but about particular events in a particular time and about the intention of which certain things were done. Sinclaire, on bail, denies all the charges and the trial continued. A former Ukip MEP told Brussels bureaucrats a member of her staff had “deliberately corrupted” her travel expenses claims, a court has heard. On Wednesday, it emerged in court Sinclaire had gone to the European Parliament’s MEPs’ expenses chief to raise concerns about irregularities in her own claims. Francisco Estela Burriel told Birmingham Crown Court that Sinclaire “told me that she is not sure, but probably the (expenses claims) declaration has been made by another person, a member of her staff”. Her barrister Sean Hammond asked if he recalled the meeting in Mr Estela Burriel’s office, from late August 2010, over a year before her arrest by West Midlands Police in February 2012. He advised Sinclaire to contact the travel companies involved to trace the paperwork, but she later told him she was “unable to find the flights she flew and which company she took to travel” as she tried to trace and correct the errors. Earlier, Sinclaire’s barrister had asked whether newly elected MEPs’ staff received any formal training on expenses. 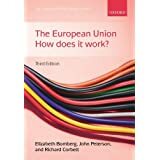 The EU civil servant replied that there had been a three-week information drive at the European Parliament, and that all the information was “made public”. But the Crown has alleged Sinclaire deliberately submitted 10 travel expense claims for road travel, which she actually undertook more cheaply by flying from Birmingham Airport to the heart of EU government. Antonie Muller, opening the prosecution case on Monday, told jurors it was a quirk of the Brussels expenses system that an elected member could claim for their journey time “duration”, which would be longer for road trips than for a flight. In six out of the 10 claims, the Crown has alleged that is what Sinclaire did, including one occasion where she claimed to have driven to Stoke-on-Trent when in fact she was in Cyprus. In his evidence, Mr Estela Burriel revealed some of the inner workings of the MEPs’ expenses bureaucracy, including the fact elected members can claim for up to 800 kilometres (497 miles) of road travel within their home country without submitting receipts. As he left the court, the Spaniard covered his face with his bag after spotting media photographers outside. Sinclaire, 47, of Shirley, Solihull, West Midlands, is accused of misconduct in a public office between October 1 2009 and July 31 2010 while a serving member of the European Parliament by making or causing to be made false or dishonest claims for travel expenses. She is further charged between October 14 2009 and December 31 2010 of fraudulently transferring criminal property into her bank account. At the start of the trial Judge Stephen Eyre QC told the jury: “This is not a trial about politics, but about particular events in a particular time and about the intention of which certain things were done. Sinclaire, on bail, denies all the charges and the trial continues. A former aide to an ex-Ukip MEP has told a court he gave regular updates about his employer to Nigel Farage, saying he did so “to protect the party”. John Ison was accused of allegedly stealing documents, installing computer spyware and making secret recordings while working for Nikki Sinclaire, to ingratiate himself with the party leadership. His old boss, Sinclaire, who represented the West Midlands region in Brussels and Strasbourg until 2014, is currently on trial for allegedly submitting “significant” expenses claims she knew to be false, according to the prosecution. The defence’s case is that prosecution witness Mr Ison first tried to “undermine” Sinclaire, and when that appeared to fail he took advantage of the confusion around the Brussels members’ expenses system to set up his employer. Mr Ison denied that accusation in court, and also said he never stole documents. A Birmingham Crown Court jury hearing evidence against Sinclaire on Friday was told by her barrister Sean Hammond there was “a background of hostility” between Mr Farage and the MEP. In a short phone call to Mr Farage – covertly recorded by Mr Ison in January 2010 – the former aide told the politician it was likely Sinclaire would have the party whip restored. Later, jurors heard how Sinclaire lost the party whip in 2010 over an internal disagreement, but was seeking to rejoin through an appeal to its national executive committee. 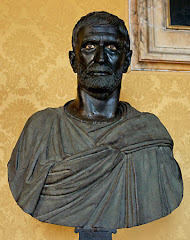 Mr Hammond claimed that during the period Sinclaire treated Mr Ison as a “confidante”. At one stage during proceedings Mr Ison used his right not to incriminate himself, by declining to answer whether he had breached the Computer Misuse Act, after being presented with evidence he hacked Sinclaire’s personal laptop. Sinclaire’s barrister asked Mr Ison if he had installed spyware on an office computer, before bragging to a party colleague about the information he had gathered as a result. In a message in January 2010 to Steve Morson, described in court as then chairman of the Ukip regional office, Mr Ison wrote “I have just captured the entire data from Nikki’s laptop”, ending the message with a smiley face. A reply allegedly sent by Mr Morson read “lmao”, which the court heard was shorthand for “laughing my a**e off”. Mr Ison replied “Nikki (Sinclaire) is going to get me a ‘foxtrot oscar’ when she finds out”, referring to a slang term meaning f*** off. On the day when Sinclaire was due to make her case to the party’s national executive committee, a message was sent to Mr Ison allegedly from Mr Morson. 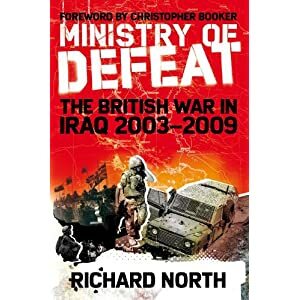 The text suggested Ukip, then led by Baron Pearson of Rannoch – known as Lord Pearson – had “backed down under the threat of legal action, which Lord P said we would lose”. He added “obviously that comment looks very bad”, but denied any wrong-doing. Earlier, asked by Mr Hammond how often he spoke to Mr Farage about Sinclaire, Mr Ison replied it was at least “once a week” by January 2010. There is no suggestion of any wrong-doing by Mr Farage or any other party official. Sinclaire, 47, of Shirley, Solihull, West Midlands, denies misconduct in a public office between October 1 2009 and July 31 2010 while a serving member of the European Parliament by making or causing to be made false or dishonest claims for travel expenses. She further denies a charge that between October 14 2009 and December 31 2010 she fraudulently transferred criminal property into her bank account. The trial continues, with Sinclaire herself expected to give evidence next week. However it is clear that at very least John Ison would seem to be in breech of his employment contract and in breech of ‘The Computer Misuse Act’ and Nigel Farage is very clearly colluding with John Ison in criminal activity – thus it would seem clear that Nigel Farage and John Ison are involved together in criminal behaviour! 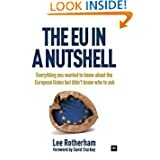 It also seems very clear that Nigel Farage, John Ison and possibly others conspired together on numerous occassions in criminal activity, including unlawfull entry, and breech of ‘The Data Protection Act’ involving confidential Government information and confidential data, and in breech of ‘The Computer Misuse Act’. As this information has been in the hands of the Police and the CPS for some years it is hard to understand on what grounds they have persecuted Nikki Sinclaire over so many years when all they seem to have by way of evidence is some 10 receipts that seem to be administrative errors yet they had very clear evidence & proof of criminality, it would seem, involving and undenied by Nigel Farage and John Ison. It would seem that this entire farago has been to frame Nikki Sinclaire with the collusion of the Police and CPS unless one can readily accept that both the Police and CPS are both incredibly gullible and very stupid! Nikki Sinclaire has clearly misplaced her trust in John Ison and has been betrayed by him in a criminal manner; Nigel Farage’s mallicious behaviour is seemingly equally as criminal in that he colluded in criminality of a period of time with John Ison. 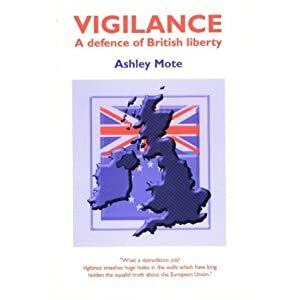 Steve Morson was also clearly informed of the criminal behaviour but in obvious mittigation supplied what seem to be true and honest evidence of the criminality to the Police making it irrefutable that John Ison and Nigel Farage had acted and colluded in criminality together. An ex Ukip MEP accused of filing dodgy expenses claims told a court her staff knew her passwords and credit card numbers to make travel bookings. Nikki Sinclaire, who represented the West Midlands region in Brussels and Strasbourg until 2014, is on trial for allegedly submitting “significant” expenses claims that prosecutors say she knew to be false. The 47-year-old said she had “so many objectives to achieve” politically, she expected her expenses to be dealt with by her office. Sinclaire also told how she had sought “clarification” from the Brussels’ parliamentary expenses officials on how to make claims, after being handed a “foot-and-a-half”-high pile of EU paperwork. Describing her background, she told the jury she was born in 1968, one of four children to a lorry driver father and a nurse mother, and grew up in south London. She charted how she knew from the age of four of her issues regarding her gender identity and had gender reassignment surgery in 1995. In emotional testimony, she described how she saw herself as “the first person ever to be in that situation to be elected”. Recalling her rise within the party, the former MEP added that throughout her time with Ukip from 1997, there was hostility and distrust between her and Nigel Farage. Asked by her barrister Sean Hammond if she had dishonestly submitted 10 claims, she battled tears as she replied: “No. Sinclaire herself went to the EU anti-fraud unit and the police when she claimed to have realised all was not right with her claims. She claimed her approach to making expenses claims was to empty out a handbag full of receipts and leave them on desk of her office staff to deal with, as it was “not really my skillset”. Instead, she left the task was down to her UK office administration assistant Paula Murray, or her political aide and later office manager John Ison to sort them. Sinclaire said: “On a Friday afternoon, I would empty my handbag of all receipts, and put it by John’s (Ison’s) desk. 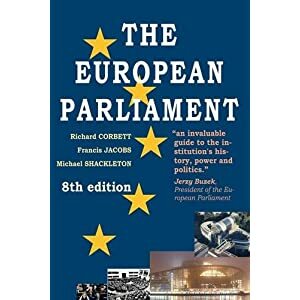 Sinclaire also claimed that new MEPs were not shown the ropes of the parliamentary expenses system and instead relied on a “fresher’s fair” held in Brussels, and a huge bundle of documentation. Having to set up her office from scratch, she recruited West Midlands regional party worker and Ukip campaigner Mr Ison to help her with setting up the rules and procedures of her administration. 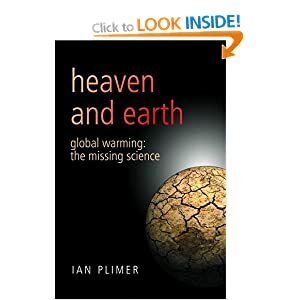 In August, 2009, seeking clarification about the expenses paperwork, she went with Mr Ison to the parliamentary cash office in Brussels to speak with the bureaucrat in charge. Mr Hammond asked: “So at that stage in terms of physically pulling together of expenses claims and the paperwork, things like that, who took over the administration work? Sinclaire replied it was Mr Ison who set up the system and he who supervised its function. Sinclaire said: “The time I spent in my office, the workload I had, I spent so little time in the Birmingham office. “There were many pressures because of my position. Asked by Mr Hammond how travel bookings were arranged, she said these were dealt with by her staff who had access to her email account, credit cards and passwords. Sinclaire claimed she was actually attempting to highlight what she alleged was the wastefulness of the EU bureaucracy and expenses system, during her tenure, which ended in 2014 when she failed to get re-elected. Sinclaire, of Shirley, Solihull, West Midlands, denies misconduct in a public office between October 1 2009 and July 31 2010 while a serving member of the European Parliament by making or causing to be made false or dishonest claims for travel expenses. An ex-Ukip MEP has urged a trial jury to consider why she would have started making allegedly dodgy expenses claims in the same month she was warned about a British colleague later jailed for a similar claims fiddle. Nikki Sinclaire, who represented the West Midlands region in Brussels and Strasbourg until 2014, is currently on trial for allegedly submitting “significant” expenses claims she knew to be false, according to the prosecution. Sinclaire has alleged her expenses were submitted by her staff, and at least one claim was “deliberately corrupted” by a former aide, who was acting as a spy in her camp for the Ukip hierarchy. Today, she told Birmingham Crown Court that in October 2009 Ukip called all its elected members together and briefed them about wrong-doing by then-MEP Tom Wise. Wise admitted fiddling £36,000 of his Brussels travel expenses at his trial the following month. The jury in Sinclaire’s case has already heard how the first of what the Crown alleges were 10 dodgy claims date from October 2009 – the month of the Wise briefing. Sinclaire, in the witness box, told jurors it would have defied sense for her to start filing false claims straight after being informed that Mr Wise, who represented the UK’s East region, was being prosecuted. She said: “All Ukip MEPs were called to either Brussels of Strasbourg, I don’t remember which. “We were briefed about Tom Wise, who was charged over expenses fraud – and what to say to the media if we were asked about it. Sinclaire’s lawyers have claimed she did not deliberately sign off incorrect claims to gain financially, saying the total amount she could have made was “about 3,000 euro” – £2,465. Sinclaire has also claimed at least one of her claims was “deliberately corrupted” by her former aide, John Ison – though he has denied any wrong-doing. Jurors have also heard of several examples where she could have made genuine claims, including parliamentary trips to Cyprus and Cuba, which were never submitted. The court has already heard about a background of party infighting, with “hostility” between Sinclaire and Nigel Farage. Sinclaire lost the party whip as a result of internal disagreements in January 2010. Jurors have also heard evidence from key prosecution witness Mr Ison. Under cross-examination from her barrister Sean Hammond last week, Mr Ison accepted being a “spy or a mole” in her office, and he admitted passing information about the MEP to Nigel Farage in 2009-10. Mr Ison also accepted making 30-40 hours of covert recordings of Sinclaire, but said he only acted “for the good of the party” during the period. On Tuesday, jurors heard that despite Sinclaire herself telling the EU anti-fraud unit of her suspicions about Mr Ison, no investigation was launched. Sinclaire also contacted British police about her fears in September 2010, but was herself arrested in February 2012. Asked by Mr Hammond why she made no comment in both her police interviews in February and October 2012, Sinclaire claimed she was just following her solicitor’s advice. She said that her arrest by West Midlands Police blocked her from rejoining Ukip – which she claimed had already been agreed. She then failed to get re-elected in 2014. The 47-year-old, of Shirley, Solihull, West Midlands, denies misconduct in a public office between October 1 2009 and July 31 2010 while a serving member of the European Parliament by making or causing to be made false or dishonest claims for travel expenses. On the strength of the evidence to date there is no doubt that the Jury would be perverse to find Nikki Sinclaire Guilty as there is absolutely no way that the prosecution has proved its case let alone beyond reasonable doubt. That the EU official the expert witness Mr. Burriel confirmed all that Nikki Sinclaire had said and that it was confirmed by the EU official that Sinclaire had reported her suspicions regarding her expenses long before the Police even claim to have been involved and there was no evidence from the prosecution that Burriel or Sinclaire were disbelieved on this point makes the prosecution evidence clearly unsound it would seem. That the prosecution evidence was unsound, as a display of criminal behaviour by Sinclaire seems clearly to be the case as no intent was shown, nor is there any sign that it is other than a clerical error or even a criminal action by John Ison designed to damage Sinclaire for Nigel Farage, as it has been undeniably shown by tape recordings played in court that Nigel Farage and John Ison were colluding. If John Ison at very least is not prosecuted it would be clearly perverse as he has admitted that he has lied under oath and the Judge has officially cautioned him relative to the risks of his dishonesty – that Nigel Farage may also be prosecuted may well also be a possibility! It does seem that the most concrete evidence of criminality brought by the prosecution was, as the prosecution barrister stated in his summing up (closing argument), merely ‘coincidence’! 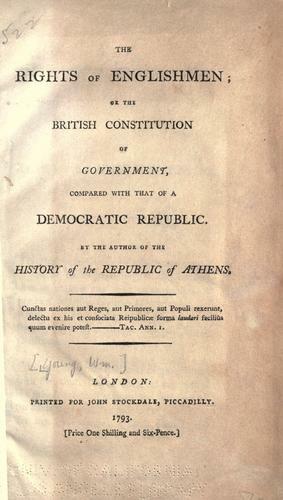 That the sum total of the allegations revolve around £2.1/2K when it has been proven in Court, and accepted by the prosecution, that Sinclaire not only did not claim for trips to Cyprus and also a trip to Cuba – all as a legitimate part of her work as an MEP nor did she draw down all of her budget in the 2 years concerned leaving over £40K unclaimed and further that in her first 3 years as an MEP Sinclaire paid from her own moniey over £90K into her work as an MEP – this case seems to me to be little more than vexatious and seemingly by a malicious action that duped an incompetent or corrupt police force! Bear in mind neither the EU payments office nor The EU’s fraud department were remotely interested in the claims, even when told about them and had they been Sinclaire had long before informed them and the Police that she had concerns that someone was acting unlawfully in her office but she had neither the time, due to pressure of duties as an MEP, nor the skills required to investigate the problem she had reported! That Nikki Sinclaire was able to call an independent forensic accountant to substantiate her every claim and verify the details of her account yet the police prosecution were unable to present any corroborated evidence or lead any evidence of consequence after spending a sum approaching £1.1/2Million (estimate) of public money trying to build a case out of errors amounting to £2.1/2K speaks volumes! We have now heard all the evidence for both the prosecution and the defence also the closing arguments of first the prosecution barrister Antonie Muller and the barrister for the defence Sean Hammond. Today Judge Stephen Eyre QC has informed the Court he will be summing up the case for the jury, which he estimates will take upto 3 hours, in that the Court will sit from 10am that implies that by 1pm the trial will be over at which time it will be a matter for the judge to decide whether to ajourn the court until Monday or to immediately send out the jury for deliberation. We shall see! I have just been notified that the Judge’s summing up has been completed and was reasonable and balanced and neutral in tone. The Judge has sent the jury out to deliberate and based on the facts it is my opinion that for the jury to find guilty would be a perverse decision. The jury will take as long as they wish/need to deliberate before returning to court later today or on Monday to deliver their verdict. We shall see! I have been surprised that Simon Timothy Orme Specialist Lawyer in the CPS Special Crime Division, their London office I believe, sat in through more than half the trial as dis at least 2 police officers each day and on some days as many as 3 police – the reason for their presence at such a cost is concerning! I have just heard that the jury has been sent home for the weekend, as having not reached a verdict yet. Court has reconvened and the jury is still out continuing its deliberations after 2.1/2hrs. failing to come to a verdict on Friday. Nikki SinclaireNikki Sinclaire, who represented the West Midlands region in Brussels and Strasbourg until 2014, had denied deliberately submitting 10 dishonest claims for road travel she never made when she had flown more cheaply.The 47-year-old and her lawyers maintained that instead the expenses had been “deliberately corrupted” by her former office aide, John Ison.Mr Ison had admitted in court sending a message to another party about the 47-year-old, which read: “Ok, Plan B – fraud.”The jury at Birmingham Crown Court heard there had been at atmosphere of “hostility” between Ms Sinclaire and Ukip leader Nigel Farage, and that Mr Ison had passed information about her to the senior party figure.Sinclaire of Shirley, Solihull, had denied misconduct in a public office between October 1 2009 and July 31 2010 while a serving member of the European Parliament by making or causing to be made false or dishonest claims for travel expenses.She further denied a charge that between October 14 2009 and December 31 2010 she fraudulently transferred criminal property into her bank account.Jurors spent just three-and-a-half hours in deliberations before clearing Sinclaire of both charges.Sitting in the dock wearing a white jacket and blue top, Sinclaire looked relieved as the verdicts were read out and hugged tearful supporters in the public gallery. Sinclaire had always admitted the claims on which the Crown’s case rested were in “error”, but told jurors she “paid no attention” to travel expenses as it was her office staff’s job. She told the jury: “I was negligent – I am embarrassed about it” – however, she denied any deliberate wrong-doing. Sinclaire said the expenses were either mistakes by staff, or in at least one claim were “deliberately corrupted” by her former aide Mr Ison. The ex-MEP’s lawyers instructed a forensic accountant who found she would have made just over £3,000 from the claims, while the Crown only placed the figure in “the thousands of pounds”. Under cross examination from Sinclaire’s barrister Sean Hammond, Mr Ison accepted being a “spy or a mole” in her office, and admitted passing information about the MEP to Nigel Farage in 2009-10. He said he had only acted “for the good of the party” and when asked in court, denied any wrongdoing. A former UKIP MEP cleared of expenses fraud has criticised police for leading a “vanity case” against her. Nikki Sinclaire, who represented the West Midlands until 2014, had denied deliberately submitting 10 dishonest claims for road travel she never made. She said her expenses were “deliberately corrupted” by ex-office aide John Ison. The court heard he gave details to UKIP leader Nigel Farage. West Midlands Police said it had acted in a “diligent and professional” way. Ms Sinclaire, of Shirley, Solihull, West Midlands, had been accused of fiddling £3,250 in European parliamentary expenses claims and laundering the cash. The jury at Birmingham Crown Court also heard there had been at atmosphere of “hostility” between Ms Sinclaire and Mr Farage. She had said the expenses were either mistakes by staff, or in at least one case were “deliberately corrupted” by her former aide. She admitted being negligent and said she was “embarrassed” by her errors, but denied any deliberate wrong-doing, saying she “paid no attention” to travel expenses as it was her office staff’s job. 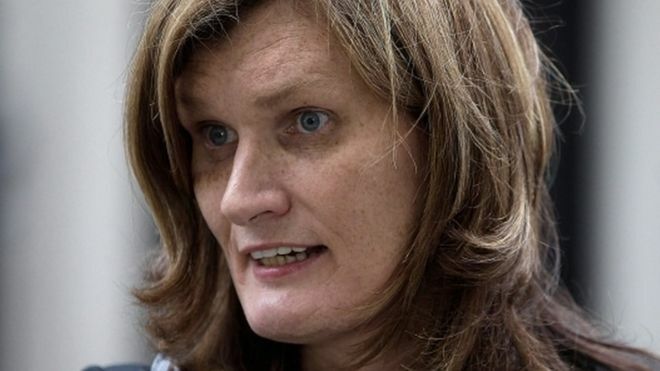 Following the verdict, Ms Sinclaire – the first ever transgender parliamentarian in the UK – spoke of her relief, saying her acquittal was “the only just verdict”. “I was arrested more than four years ago, and that unnecessary event had blighted my political career and, more importantly, my life,” she said. A spokesman for West Midlands Police said the force “acknowledged” the verdict, but defended the investigation. “Our criminal justice system quite rightly demands a very high standard of proof,” he said. 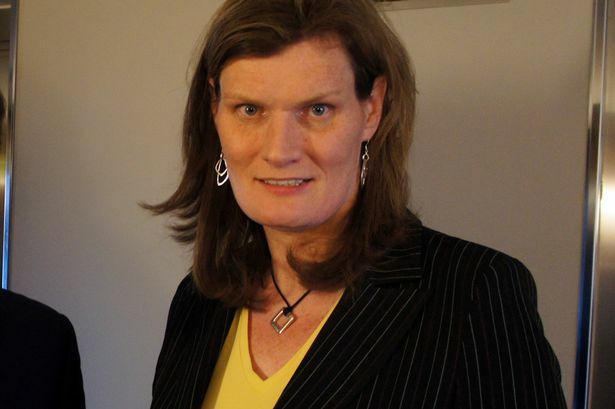 The UK’s first transgender parliamentary politician Nikki Sinclaire has spent much of her life fighting battles – personal and professional. As she is cleared of misconduct in a public office and fraud charges the BBC looks at her political and private life. The title of Nikki Sinclaire’s second book, Never Give Up, is a clear indication of her determination. “Because of the things that have happened to me, I have this thing about injustice. I feel I have to stand up whether it’s myself, or other people,” she told the BBC following its launch. Her resolve emerged at a very young age. She was just eight years old when she became interested in politics while watching the news after school. But it was a couple of years later, during the Winter of Discontent, that her interest really peaked. “My father supported the unions and I would question him – why this conflict? I thought the unions were supposed to be for the working man, and also the Labour Party? Her “very working class” father was “perturbed” when he learned of her admiration for Margaret Thatcher. As her political obsession intensified in her teens, so did a very private struggle. Since the age of three, she believed she was trapped in the wrong body. It wasn’t until she reached 16 that Ms Sinclaire confided her feelings to a doctor, spilling out “16 years of hurt”, only to be told it was a “fantasy”. Undeterred, she eventually underwent gender reassignment surgery at 23. A staunch Eurosceptic, she became an active member of UKIP and held many positions within the party. After 10 years – and two defeats in UK general elections – she was successfully voted in as the party’s MEP for the West Midlands in June 2009. But her success within UKIP was short-lived. 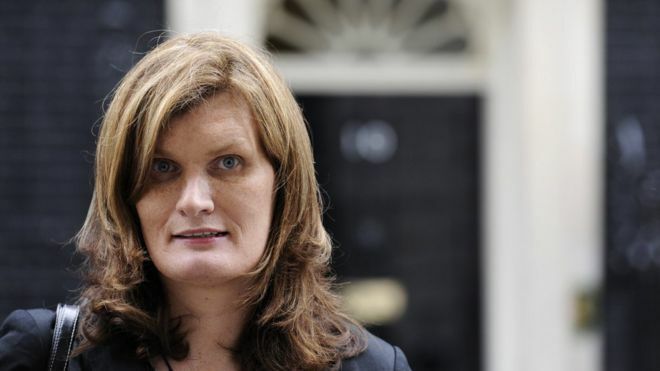 Just nine months later, in March 2010, Ms Sinclaire was expelled from the party after refusing to take part in a multi-national group it had joined in the European Parliament, citing some members “homophobic views”. It was a blow she was not going to accept easily. In December that year, having taken her former bosses to a tribunal, a judge found in her favour when UKIP failed to file a defence in time. As an independent MEP, Ms Sinclaire continued her tireless campaign for a referendum on Europe. 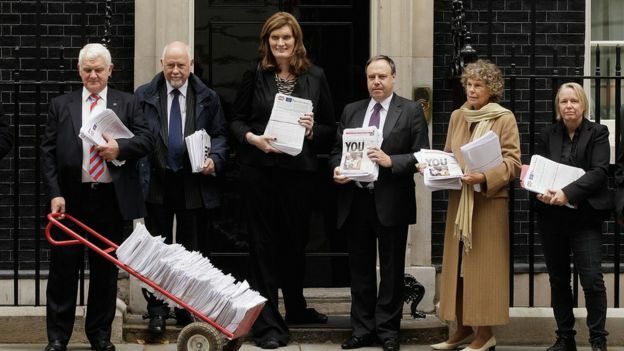 In 2011, she gathered 100,000 names to a petition, which led to a Conservative rebellion of about 70 MPs, and “forced David Cameron to the despatch box”, a proud Ms Sinclaire later told the BBC. Again, the joy was short-lived. By February 2012, West Midlands Police had begun their fraud investigation and arrested Ms Sinclaire on suspicion of defrauding the European Parliament. Image captionNikki Sinclaire arriving at court for her trial. She said the expenses were either mistakes by staff or, in at least one claim, were “deliberately corrupted”. “The allegations at hand are old allegations from a disgruntled ex-employee”, Ms Sinclaire said in a statement, adding she had “nothing to hide”. The following year, Ms Sinclaire decided to reveal her gender reassignment secret, which she said was the result of threats from UKIP and journalists. She later went on to say she had been “overwhelmed” by the support from members of the public. In June 2014, Ms Sinclaire lost her seat to Labour’s Neena Gill and a month later, more than two years after her first police interview, she was charged with money laundering and misconduct in public office. She was accused of making false and dishonest submissions for travelling expenses and transferring the proceeds of fraud through a bank account – something the politician said she “strongly refuted”. It took another two years for the case to come to court, ironically, scheduled just days after Ms Sinclaire’s British independence dream came true. The day after the referendum, there was not a hint of the impending court proceedings on her Twitter account. Instead, as she celebrated the victory, her doggedness shone through once again. 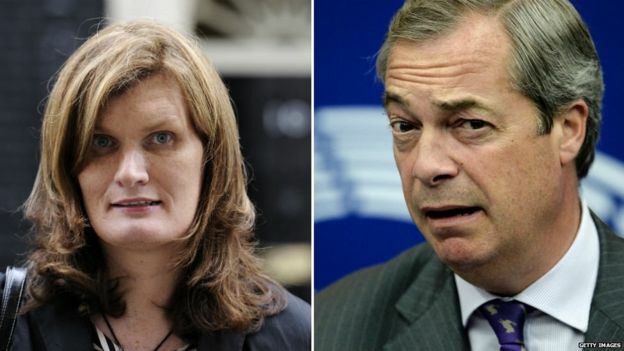 It is worth asking just how widespread was the criminal conspiracy against Nikki Sinclaire – clearly it involved Nigel Farage & John Ison conspiring to pervert the course of justice together possibly with others as was led as evidence in Court including tape recording of a conversation between Nigel Farage and John Ison and the details surrounding that conspiracy between them as shown in evidence. Conspiracy to pervert the course of justice involving John Ison is indisputable as also shown by the various text messages and his message ‘Plan B – Fraud‘. This would seem to show that Ukip officials and leadership were colluding with the Police. Sadly this would seem not to be as far fetched as it would seem, not only are the police under the spotlight for their activities with regard to the allegedly unsound conviction of Jasna Badzak and I too have experience of the apparent collusion between Police of the Met. and Gerard Batten when the police acted for Gerard Batten on a half baked claim he made against me – fortunately I was beyond the jurisdiction of the Met. in these circumstances and after a 3 hour interview under caution on tape the Met’s. vexatious claims were unsustainable. It is also worth noting that John Ison has admitted to stealing material from Nikki Sinclaire and gaining unlawful entry to her offices he has also made it abundantly clear that he is criminally in breech of the Misuse of computers Act’ and has put sophisticated spyware on Nikki Sinclaire’s computers together with downloading the entire contents of her laptop. These charges must be prosecuted against John Ison for not only Justice to be seen to be done but also for closure of this obscene chapter in British politics. 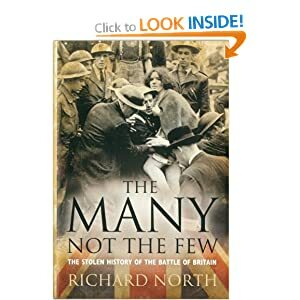 Let us also remember that irresponsibly and profligately in a period of National austerity the Police & CPS squandered an estimated £1,500,000 in trying to prove a hard working MEP Nikki Sinclaire who whilst other MEPs cash in on every bit on which they can claim Nikki Sinclaire was proven to have not claimed on numerous costly claims she could have made and in the 3 years in question paid in £91,000 of her own money to support her work as an MEP – yet the police were persuing her for about £3,000 they claimed she had ‘fiddled’ to enrich herself. The entire case would have come to a juddering halt if the police had rubbed two brain cells together and had asked her about the so called documentary proof they claimed to have – particularly as she had reported problems and discrepancies to the EU Payments Office, OLAF and the British Police long before she had any possible incling that the police were aiding those trying to set her up! It is also apposite to ask what the hell Simon Orm’s role in all this was on behalf of Ukip or the CPS, minded that it was also he who authorised the prosecution of Jasna Badzak in London was that for the CPS or for Ukip? The force defended its handling of a “diligent and professional” investigation, but has declined to say how much the inquiry cost. which leads me to believe that it may well have been even more and when you realise, as the BBC confirmed, the Police had at least 27 serving officers working on this case the rate at which they were wasting public money was quite staggering, all on the sayso of one embittered liar seeking to curry favour with his handler Nigel Farage,to whom he was reporting, as he spied on his employer and betrayed her. 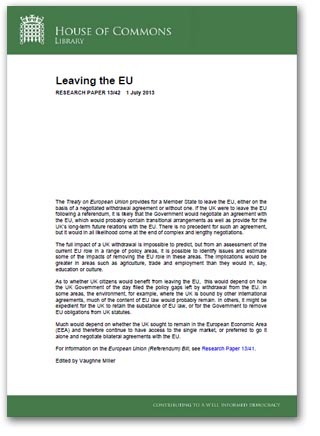 This entry was posted on 05/07/2016 at 16:18	and is filed under EU, EUkip, UKIP. 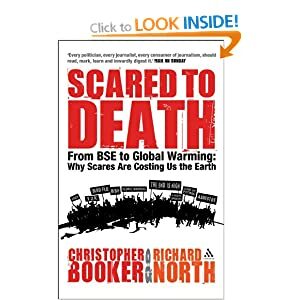 Tagged: Antonie Muller, Burriel, Express & Star, Gerard BATTEN, Jasna Badzak, John Ison, Mick McGough, Mike Nattrass, Nigel Farage, Nikki Sinclaire, Police Corruption, Sean Hammond, Stephen Eyre QC Judge. You can follow any responses to this entry through the RSS 2.0 feed. You can leave a response, or trackback from your own site.